Quattro cose che so di lei (Four Things I Know About Her) came into being as a photographic experiment “from numerous viewpoints”. Punto di Svista has chosen to “interpret” the city of Rome by focussing on non-traditional issues and avoiding stereotypes, commonplaces and aesthetic fashions. 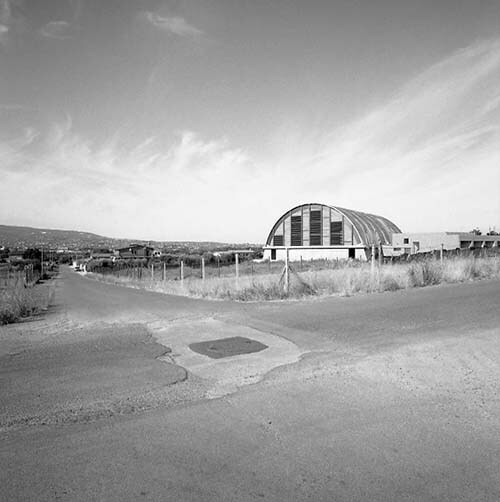 The forms of expression which spurred the four photographers are related to the history of cinema and to the forms of narration which this visual art form has used to highlight the “problem of the city” and its boundaries with the surrounding territory. Punto di Svista’s multi-authored photographic work focussing on the city of Rome, on a theoretical level, springs from two very specific sources: Pier Paolo Pasolini’s film La sequenza del fiore di carta (1969 – The Paper Flower Sequence, an episode in Amore e rabbia – Love and Anger) and the novel by the American writer Don De Lillo Cosmopolis (2003 – with David Cronenberg’s film version in 2012). These two works are both metaphors of the individual’s “journey” in the city, a journey which aims to jolt consciences and to reveal that modern day huge urban sprawls are the paradoxical and chaotic representation of the decadence of the whole capitalist and western society, melting pots in which human beings seem to have lost their perception of the collective destiny of which they are part. Riccetto (La sequenza del fiore di carta) walks through the city of Rome enclosed in a kind of euphoric ingenuity which prevents him from “seeing” the horrors of the world in which he moves without a care; Eric Packer (Cosmopolis), protected by bodyguards and inside an armour-plated limousine, makes his way across the metropolis of New York, while around him the people revolt and destroy the city and throw dead mice where they are consumed (restaurants). Pasolini and De Lillo/Cronenberg address the same theme with different styles and languages: the degeneration of the idea of humans cohabiting in the modern city, which in its turn evokes the decay of an economic and financial system which is destroying the fabric of contemporary society. The title Quattro cose che so di lei refers to Jean-Luc Godard’s similarly-titled 1967 film (Due o tre cose che so di lei – Two or Three Things I know About Her), a work/essay on the “condition” of the Paris region and the French Capital, symbols of a society based on the prostitution of the body, the mind, individuals, and the entire community. Punto di Svista’s photographers intend to highlight, through their subjective gaze, issues regarding the destruction of Rome’s urban/social structure and to identify some ongoing changes in the most fragile areas of the city’s urban organisation, in particular regarding the transitional areas between the city and countryside. 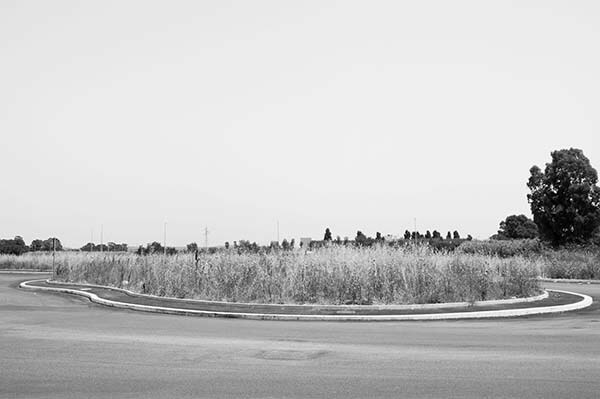 Alfredo Covino focuses his creative activity on the industrial area of Settecamini (Tiburtina), a place which is occupied by a factory with nearby a settlement of two hundred and fifty families. The presence of this city “satellite” can be perceived right where there is still today a source of employment which will probably bequeath to inhabitants the tragic inheritance of pollution, the exact effects of which on the population are still not known. 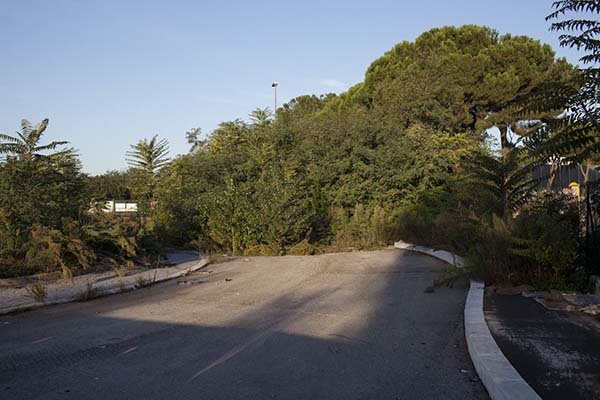 Pietro D’Agostino intends to operate in the south-east of the capital, among the ruins, blocks and flats, looking for that sense of disorientation which often ill-considered and violent intervention by man has caused due to the urgent desire to change the nature of the areas. 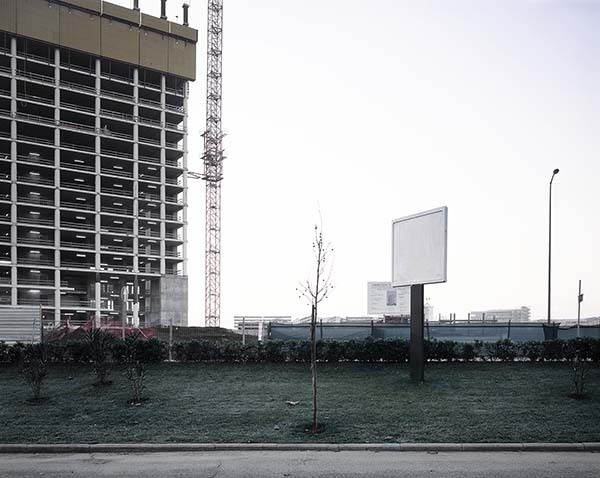 Pietro Guglielmino documents the development of particular areas of the city, development based on the concepts of new town-planning and centralisation which lead to the creation of “boroughs” characterised by desolation and a sense of incompleteness. Life seems to have moved elsewhere: in shopping centres, architectural mazes organised as soul-destroying spaces where people move around in a hypnotic state induced by goods, brands, and trademarks which are increasingly visually stimulating and psychologically aggressive. Orith Youdovich drives on to the edge of Rome. She explores roads, highlights intangible borders, seeks out and finds meaningless places where haphazard town-planning and still open spaces perfectly highlight the contradictions of unplanned “growth”. The dividing line between the city and its province is becoming a local depiction of the ambiguous concept of beginning and end, often used simplistically and subtly by those who hold power in order to create boundaries which do not really exist.